For society to come to terms with the fact that mental health affects so many, it is imperative that open conversations about mental health take place. 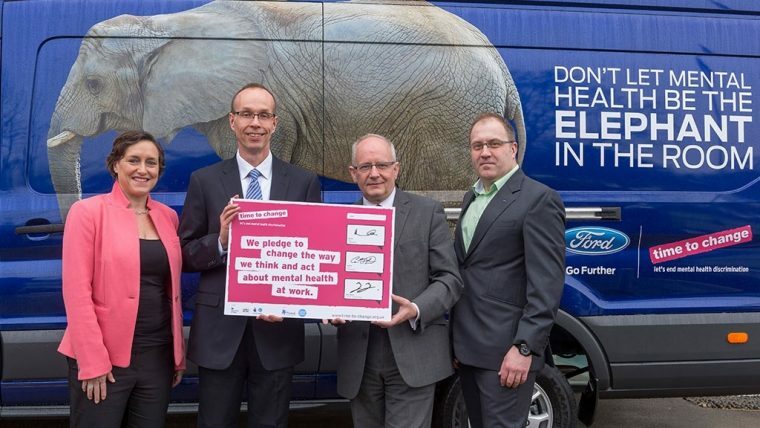 Organizations like the UK’s Time to Change are seeking to stimulate that conversation and bring the realities of mental illness into the light of day, and Ford is taking part in its endeavors. Ford in March announced that it is signing the Time to Change pledge, committing itself to helping people feel more comfortable talking about their issues with others and encouraging others to be more proactive in helping out a friend or family member who might be in need of a sympathetic ear. Ford and Time to Change also encourage you to reach out if you feel that a friend of yours is suffering silent. It’s as simple as reaching out, setting aside a time and place to meet, listening to their problems without passing judgment, and treating them with respect and equity.